It looks like it's a case of 14th time lucky for Ant and Dec at the National Television Awards as they pick up Best Entertainment Presenters once again. The night began with a win for the Geordie duo, who also picked up Best Show with I'm a Celebrity. "In the car on the way here we were like, 'I don't think we're going to win...' It's got to come to an end one day and we honestly thought tonight was the night...so thank God it wasn't! We genuinely love what we do and we wouldn't want to stop it for a second. We feel priviledged to do the shows that we host and thank you so much for voting." Geordie duo Ant and Dec took to Twitter to thank supporters after they won the Landmark Award for 25 years in television, Best Entertainment Presenters for the 13th year in a row, and 'I'm A Celebrity' took Best Entertainment Programme, at the National Television Awards. Ant and Dec triumphed again at the National Television Awards (NTAs), picking up a handful of gongs and getting a royal seal of approval. Ant and Dec have been presented with a special Landmark award at the National Television Awards for their 25 years in television. Ant told the crowds: "The last 25 years have been a pleasure and we genuinely love it." Watch the National Television Awards live on ITV and you can catch up later on ITV Player. 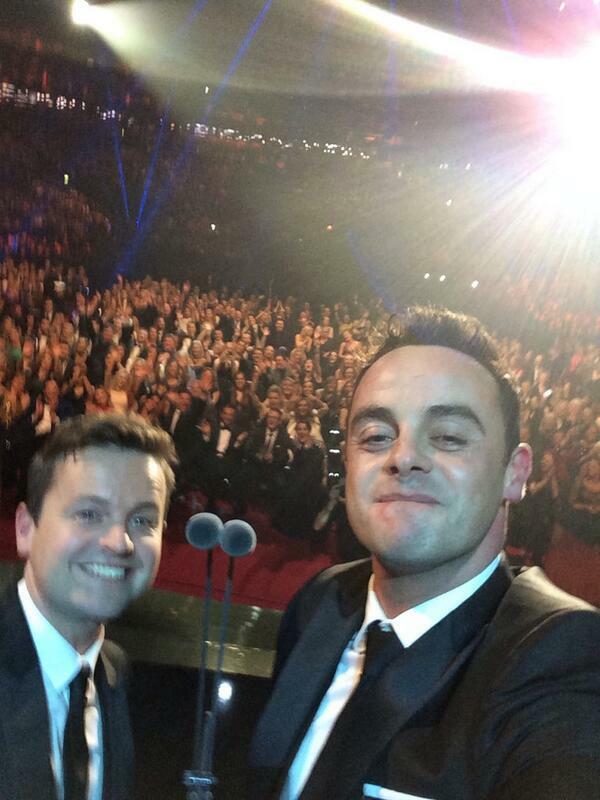 Ant and Dec have been named best entertainment presenters at the National Television Awards. I'm a Celebrity has won best Entertainment Programme at this year's National Television Awards. Westlife's Kian Egan, who won the last series of the show, thanked the viewers for voting as he accepted the award. Watch the National Television Awards live on ITV.